The future of blind control is smart – smarten up your blinds, shutters and awnings with this wirelessly controlled tubular motor featuring integrated Loxone Air technology. 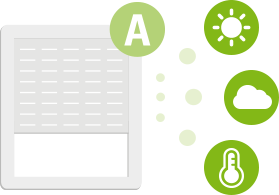 The Miniserver, which sits at the heart of your Loxone Smart Home, will fully automate your tubular motor, taking into account various parameters such as the position of the sun and the temperature in the room. It will take over the motor’s controls and intelligently integrate them with controls for other areas such as heating, cooling, lighting etc. Your home’s shading is automatically activated or deactivated, depending on the room temperature, the sun’s position and the amount of sunlight. The sun’s energy will be used to heat up the rooms and when the ideal temperature is reached, the blinds will close automatically to prevent overheating. Your Loxone Smart Home knows what needs to be done! 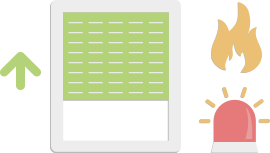 But if you want to manually control your blinds, you can do that at any time in the usual ways – either by using the swith, or with the free Loxone App on your smartphone or via your PC’s browser. If you have exterior roller shutters or awnings, they are automatically moved to the safety position during storms to protect them from damage. If the fire alarm or burglar alarm are triggered, your blinds and shutters will protect you by opening up emergency escape routes. Whether you are building a new home or are retrofitting your existing home as a Loxone Smart Home, the SOLIDline Air tubular motor is the perfect solution for using shutters and awnings to protect your home from the sun. This tubular motor for blinds, shutters and awnings comes with integrated ‘Loxone Air’ wireless technology, which has been fine-tuned especially for the requirements of private homes. The wireless technology allows the motor to be commissioned without the need for any extra wiring when installing switches and controls. 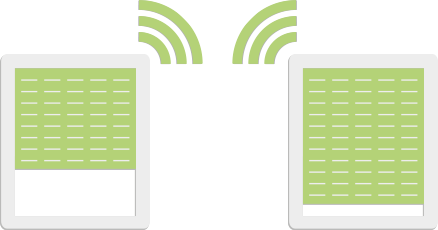 Loxone Air wireless technology was developed especially for use in private homes and features bi-directional data transmission and mesh networking. Because of all these features, each motor also works as a wireless signal repeater. 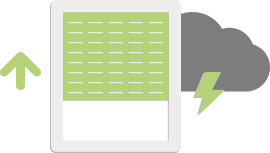 This means that having multiple motors guarantees full Loxone Air wireless coverage across the whole house, which makes it easy to overcome construction-related constraints such as thick concrete walls. What’s more, each wireless command is acknowledged when executed, which eliminates sources of error. 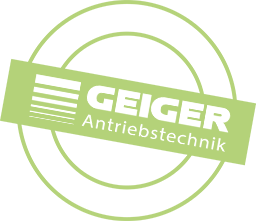 Geiger is a firm that is based in Germany, which is also where all their products are manufactured. This optimises the potential for interaction between the departments for research, development, manufacturing and quality control. 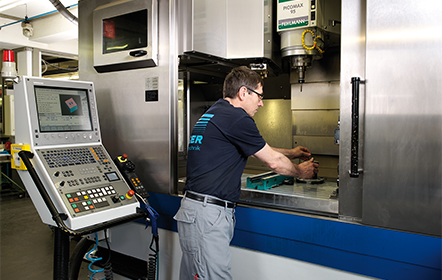 The products that Geiger manufactures have received a quality score of 99.9%, reflecting the exceptional quality of their products. Geiger provides a five-year guarantee with every Tubular Motor SOLIDline Air sold – yet another way that this specialist blind manufacturer demonstrates its commitment to quality. The SOLIDline Air tubular motor uses up to 15% less electricity than the industry standard motors. Depending on the fitting location, these tubular motors are between three and ten decibels quieter than other standard motors. Automatic obstruction detection and a soft upper stop mechanism that detects when the upper stop point has been reached, protecting your sun protection unit from damage. The Tubular Motor SOLIDline Air keeps your blinds safe in winter. The tubular motor ensures the blind stops just a few millimetres from the final end position to prevent unnecessary strain or damage to the blind. The wireless technology used in the construction of the motor minimises the risk of short circuits and makes things safer for users. 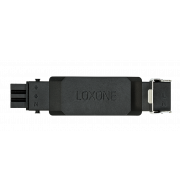 Loxone can provide you with accessories that are compatible with the SOLIDline Air. In addition to the two versions of the tubular motor, there are also five different adapter/driver sets to suit any barrel size and any spatial circumstances. These are available for purchase in our very own webshop. Additional compatible accessories can be purchased from Geiger. Whether you are using electric curtains, blinds or awnings, the new Shading Actuator Air allows you to integrate shading into your Loxone Smart Home in a few simple steps.